Islamic anti-Semitism – The Tundra Tabloids……. Muslim sharia-supremacist congresswoman Omar (Dem) uses antisemitic smear: US Jews have dual loyalty……. J.E.Dyer at Liberty Unyielding: Apology isn’t enough: House Democrats must sanction Ilhan Omar……. Dr.Manfred Gerstenfeld: German Media Distortions Tiny and Big; The Relotius Case and Israel……. US: Daughter of disgraced serial sexual offender Bill Clinton condemns Ilhan Omar’s (Islamic inspired) Jew-hatred……. Islamonazi Imam: “The Jews convinced Europeans to hate Arabs instead of them.”……. US: Comedian Roseanne Barr (correctly) claims “We have Hamas in Congress”……. US: Key fundraiser for Democrat congresswoman Rashida Tlaib promoted highly antisemitic conspiracy theories on Facebook……. Newly minted US Congresswoman Rashida Tlaib (Dem-Islamonazi) engages in overt Jew-hatred, alludes to Jews having dual allegiances……. Dr.Manfred Gerstenfeld: America’s leading antisemite, Louis Farrakhan……. Democrat poster child of antisemitism: Farrakhan in Iran chanting death to the US and Israel……. US: Grandson of operation leader of notorious Black September terror group responsible for Munich Massacre running for US congress……. 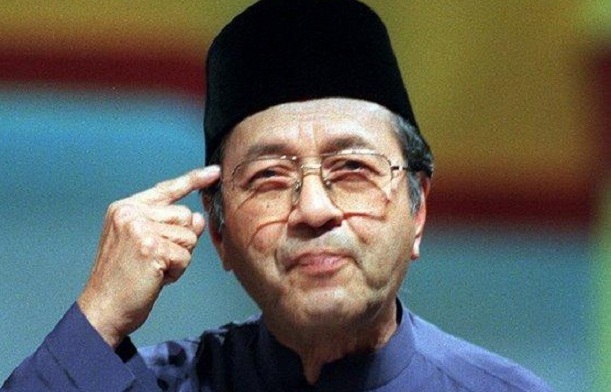 Malaysian PM Mahathir Mohamad continues his Jew-hatred: “Hook-nosed, Holocaust denial”……..
French imam investigated for incitement over anti-Semitic sermon……. Daniel Greenfield: Muslim Refugees Perpetrate a New Kristallnacht……. 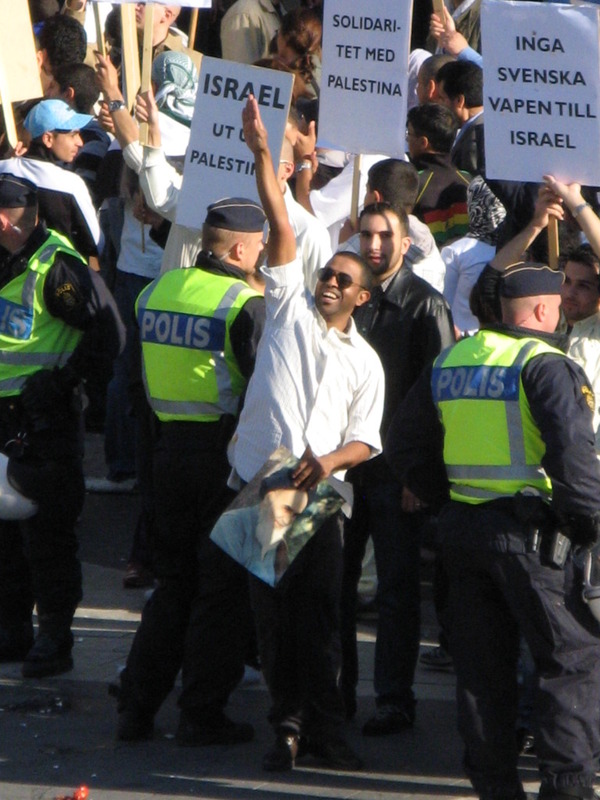 Swedish cities using public money to fund Arab Jew-hatred……. Melanie Phillips: Time for Jews to leave UK and Europe……. Netherlands: Muslim political activist who worked for the Islamo-Denk party wishes cancer on ‘filthy Jews’……..
Western Europe’s disconnect on Islamic antisemitism: From Sweden to Germany, Europe’s justice system fails its Jewish citizenry……..
Netherlands: Holocaust denying Muslim convert Arnoud van Doorn tweets Nazis as perhaps ‘protectors of Europe’……..
Dr.Manfred Gerstenfeld interviews Alfred Edelstein: Encountered antisemitic aggressive reactions by ‘young men of Mediterranean origin’……. Daniel Greenfield: Islamic antisemitism is really Islamic imperialism……. Dr.Manfred Gerstenfeld: Malaysia, The Return of an antisemite Prime Minister……. Dr.Manfred Gerstenfeld with Irene Kuruc: Fifteen Years Too Late, French Manifesto Against Muslim Antisemitism……. Amsterdam: Aftger Islamonazi attack, kosher restaurant may close if no permanent security guaranteed……. Netherlands: Amsterdam city council was warned about Islamonazi Palestinian before he attacked a Jewish restaurant……. Giulio Meotti: It may be too late to defeat French Islamic anti-Semitism……..
Daniel Greenfield: For the ADL exposing Muslim antisemitism is Islamophobic……. 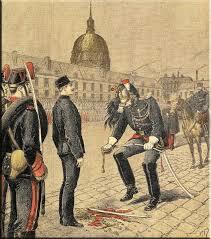 French Muslims back their Jew hating koranic/hadith texts, criticism of it is an attack on Islam……..